John Ajvide Lindqvist has been called Sweden's Stephen King. The comparison is apt, except, let me whisper this, he writes better than King. This novel certainly has a King-like opening, reminiscent of The Mist. It also feels very Twilight Zoney: Four pairs of trailer park denizens, along with two children, a dog named Benny, and a cat named Maud, awake one morning to find the rest of the park, indeed, seemingly, the rest of the whole world, gone. The fields that surround them are described simply as nothing. Lindqvist hit something of a horror home run with his earlier novel, Let the Right One In, which was made into two films. 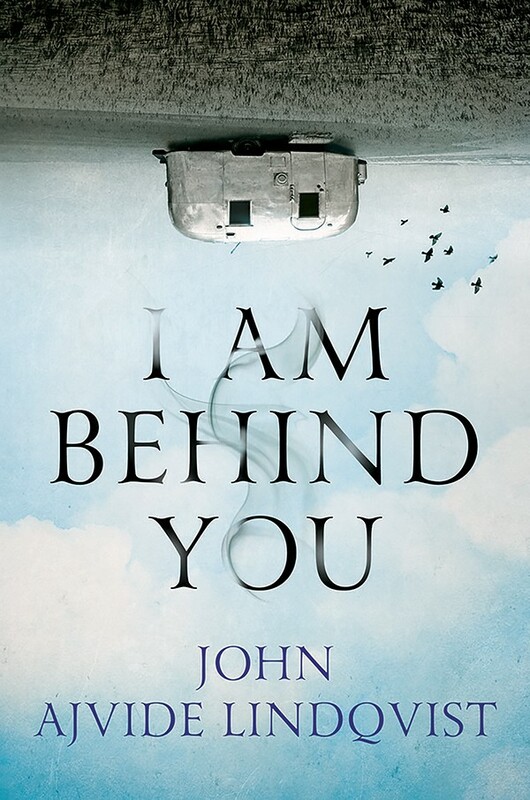 This new book, I Am Behind You, at its best, is reminiscent of Lem's Solaris, or the Strugatskys' Roadside Picnic. It also has something else in common with most of King's books: It's a tad too long. That being said, once the narrative gets cooking, it's a real page-turner. The author delineates each vivid character thoroughly and precisely. The story starts queerly ... and then gets queerer. In every direction, the nothing is like long stretches of a grasslike lea, and up above, there is a uniform blankness. "It doesn't even look like sky; it is more like something that has been put there to resemble sky." As each character tries to wrap his or her mind around the alteration, logic fails them. "They had thought the sun would reappear, that it was lurking below the horizon, but the minutes and the hours pass, and there is no sun. It is an absence so great it is impossible to comprehend." Yet, they struggle to explain. They struggle to figure it all out. One of the book's themes might be described as "empiricism fails." And it's not enough that their present resembles something from a grim folktale, they are also, each man and woman, flooded with their bleakest memories. Is this part of the transformation of reality into irreality? One of the men ponders, "To what extent can we make our memories into a reality? If an event has been imprinted on us with the violence of a branding iron ... if it is encapsulated within us like a moment that will live forever, does that also mean that we can really go back there, to some degree?" The key enigma (along with the mystery of what the title of the novel means): "Nothing exists and the field is endless." The reader will wonder, along with our poor trailer park crew, what is going on? Another character responds, "I haven't a clue. But there's someone ... something out there that wants to do something to us?" This line succinctly nails the dark eeriness of the novel. It was about here, a hundred pages in, that the hair on the back of my neck began to prickle. Then, the young girl, who had seemed a somewhat sinister child, like the bad seed, asks her father if he thinks you can remove a person's skin with a vegetable peeler. There is more than unease going on. There is real evil here. The most problematic aspect of a sci-fi or horror story, movie, or book is the ending. In other words, after all the dread, bizarreness, and creepiness, there must be a satisfying conclusion, if not an explanation of all that has gone before. To illustrate: You watch all 118 episodes of Lost because you believe they're going to explain all those disparate and puzzling happenstances in the final wrap-up. Then they don't. Worst case scenario for an ending: It's all been a dream. Or, everyone is dead and this is hell/heaven. In contrast to this, there is the theory that the journey is more important than the destination. What might be called the Twin Peaks poser is germane: is it weird just to be weird, or does it matter because the weirdness is certainly entertaining? And, incident by incident, oddity by oddity, I Am Behind You is very entertaining. Does Lindqvist come up with the goods? Does he have a conclusion that satisfies after all the abnormal machinations of his perplexing story? 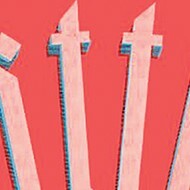 I don't want to offer any spoilers but will say that fans of Lost and Twin Peaks will relish every page.